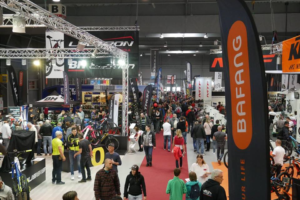 Last year the bicycle trade fair of the Benelux Vélovak attracted five times as many visitors and three times as many exhibitors during the second edition. This year the leading purchasing event for the Benelux will take place on the 22nd, 23rd and 24th of September. Vélovak has big plans, an expansion of the floor plan and already an interesting list of exhibitors. Half a year after the 2018 edition Vélovak has already made several huge steps. 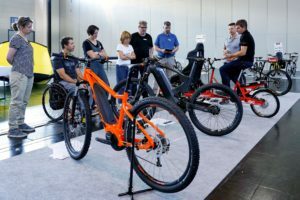 Still having 6 months to go for the next edition companies such as Dutchebike, Juncker Bike Parts, Kettler Alu-Rad GmbH, SKS Germany, E-Wheels Studio, Verduin Agency, Oneway Distribution, Achielle, The Plus Company and other distributors of official brands already registered for this year’s edition. New at the trade fair Vélovak is the category mopeds and scooter. AGM scooters, BTC scooters and PePe Parts have already confirmed their participation in the new “Moped and Scooter square”. 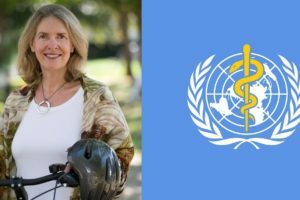 “Many suppliers in the bicycle industry are also selling (electric) scooters. The segment scooters was often mentioned by (potential) exhibitors and visitors. In the past few months the Vélovak team has researched whether there was enough support to add the segment to already the five existing categories. The answer was simply: yes!” says Mascha de Bruin, Head of Events Vélovak. 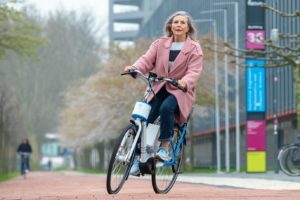 On the 22, 23 and 24 September, the leading purchasing, networking and expertise event for the bicycle industry in the Benelux will take place in the Gorinchem Evenementenhal in the Netherlands. 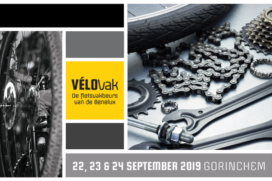 Vélovak is a comprehensive bicycle trade fair organised especially for distributors and retailers in the Benelux bicycle industry, offering a platform for big and small companies. It takes place two week after Eurobike, but is held well ahead of the start of the new season. 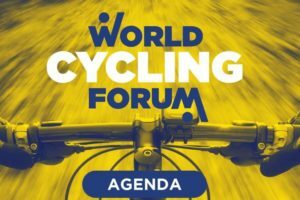 The event offers retailers everything they need for their stores, workshops, and also provides an overview of the latest collections of bicycles, clothing and accessories of over 200 brands, represented by official dealers or importers only. 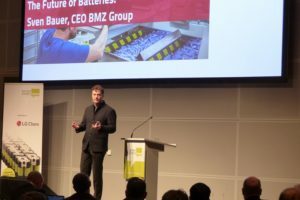 The end of September is the ideal time for retailers to explore what official Benelux distributors have to offer and discover new trends and developments. Please contact Kevin van der Ploeg and Will Scheper for more information about participation in Vélovak. Since last year, Bike Europe’s sister magazine for the Dutch retailers Tweewieler has been the exclusive media partner of Vélovak. Together with Vélovak they also organise the Tweewieler Knowledge Theatre. Vélovak and Tweewieler Academy also organise the competition Vélovakman (woman) Award. Juncker Bike Parts is the main sponsor with its new and exclusive bicycle tool brand Unior Bike Tools. During the competition Juncker Bike Parts provides all the necessary tools and provides the workshops for the preliminaries on the 6th and 20th of May. The goal of this competition is to provide a platform to celebrate the craftsmanship of bicycle mechanic. The man or woman, who usually have more of a background role, are subjected to a series of timed practical challenges and show their skills. For the record: both male and female bicycle mechanics, and both beginners and highly skilled masters, are free to take part in the contest!